66095 has run round its train at Claydon L&NE Junction and is now en route to Bicester C.O.D. with 6A49, the 07:32 MoD stores train from Didcot Yard, having departed from Claydon at 11:26, running somewhat early. 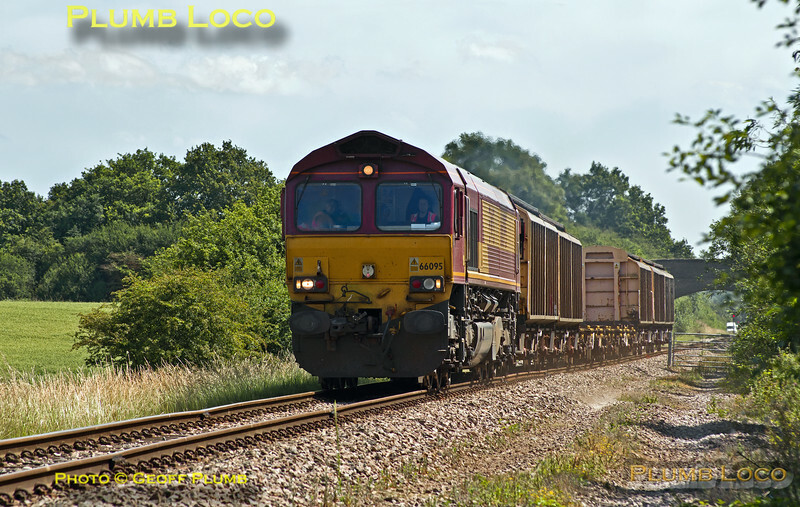 It is approaching the foot crossing near Charndon at 11:29¼ on Friday 4th July 2014. Digital Image No. IGMP5935.